The Internet received the first official shots of the fastest road hypercar McLaren - Speedtail. Photos of the new car, which debuts today, October 26, appeared on Autobant Twitter user. McLaren Speedtail is the ideological successor to the legendary F1, which is the fastest commercial vehicle in the world from 1993-2005. According to the type of the predecessor, the novelty will have a 3-seater salon, in which the driver's seat is located in the center, and 2 passenger seats are located on the sides. 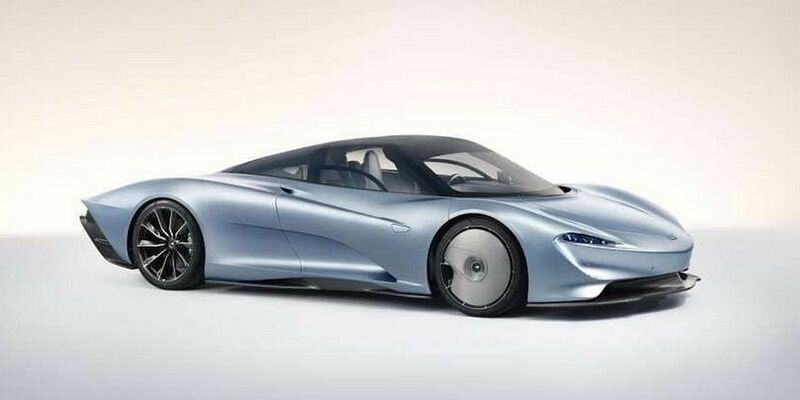 Most likely, the McLaren Speedtail will have a hybrid unit, consisting of a 4.0-liter V8 for two turbines with a power of more than 1000 hp The first 'hundred' car is given in 2 seconds at a maximum speed of 391 km/h. McLaren Speedtail will appear in the amount of 106 cars for $ 2.3 million.